Growing up, I didn’t care whether a snack was real or made of artificial colors. Sure, strawberries aren’t really THAT color, but it was sweet and tasted like strawberries, and that was good enough for me. Now, I’m trying to eat healthier. I can’t say that I’m 100% healthy (my donut hole splurge yesterday is testament to that) but I’ve found that I can be health-IER by making smart choices with my snacks. One of those choices has been to cut back on artificially flavored snacks and focus on more wholesome ingredients. I’m not eliminating snacks, just swapping some of my favorite snacks with healthier alternatives. One of those healthier options are Outshine Fruit Bars. 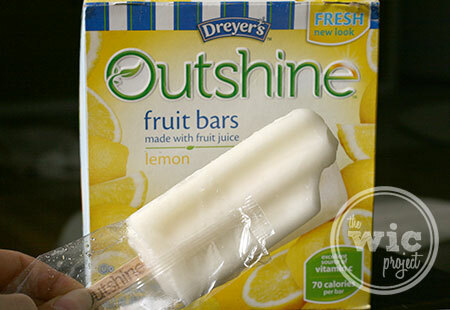 Unlike a lot of other frozen treats, Outshine Fruit Bars are made with REAL fruit or fruit juice. Coming in at just 70 calories, I love that I recognize (and can pronounce) all of the ingredients in the bars. 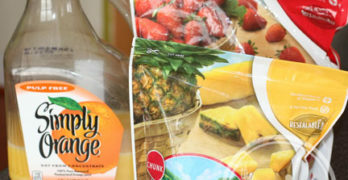 While we don’t strictly avoid high-fructose corn syrup, it was also nice to see that Outshine Fruit Bars have no high-fructose corn syrup and are also gluten-free. We have a lot of different tastes when it comes to snacking. Outshine Fruit Bars has a wide selection of flavors – from their special seasonal flavors, like Peach or Blood Orange, to the more traditional Strawberry and Grape. The also have fruit bars made out of coconut water! This makes it easier to give the family this healthier snack option since there’s a flavor for everyone. Now you might be reading this and thinking “But Miriam, it’s WINTER. It’s too cold for frozen treats.” To that I ask – have you ever wanted a snack that was refreshing? Something that didn’t weigh you down or make you feel heavy? Those moments are the perfect moments to enjoy Outshine Fruit Bars. 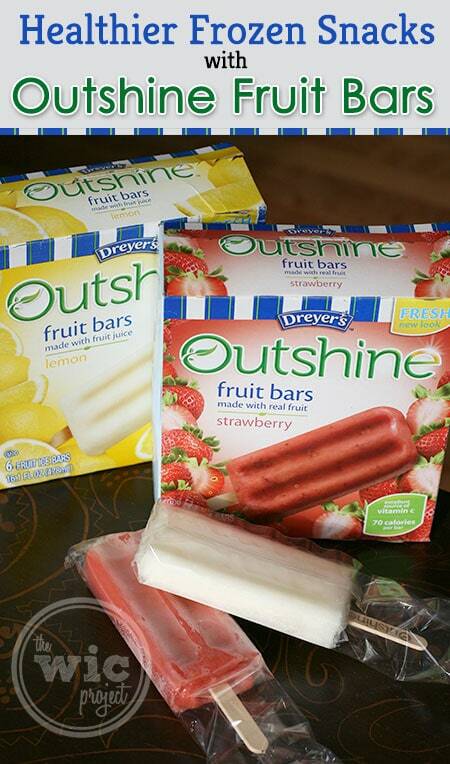 Whether it’s hot or cold outside, Outshine Fruit Bars are a delicious and refreshing treat. I love that I can identify the flavor with each bite (no “mystery flavors” here) and that the bars aren’t too sweet. Even thought it just snowed, and we’ve had to plug-in the water bowl heater to keep the dogs’ water bowl from freezing every night, I can still appreciate the fresh, fruit flavors of the Outshine Fruit Bars. Do you enjoy frozen treats during the winter?